I was given these dolls, they aren't particularly old, however upon looking on the internet a lot of this collection is considered "Antique" and the price range for similar models are between 50-100! 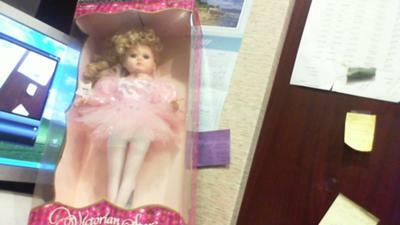 The dolls are brand new, never opened, and have all the stands and certificates of authenticity. I tried my best to look for the dolls that are the ones I have, by putting in the item numbers, but it all draws a blank. Even the brass-key website has no record of these since they are more than 11 years old. I would love to try to sell these since I am not emotionally attached to them . Go to dollreference.com. When there, look under porcelain dolls 1980-now. Your doll reminds me of boxed porcelain dolls that were sold at Sam's Club. Not old, certainly not antiques.